One of the most incredibly fascinating facts about bats is that they are the only mammals on Earth that can actually fly! Unfortunately, this gift of flight is what gives them easy access to residential and commercial real estate. This time of year, bats are searching for warm shelters to roost and hibernate for the winter. Common target areas include high-up places, like attics and roofs, where bats can make a safe, warm home for the season. Why are Bat Infestations a Big Deal? First, bat species that are native in the Kentucky region are not solitary mammals. This means they come in large quantities. Now combine a large colony of bats with the type of destruction they cause, and you instantly have a costly and frustrating situation on your hands. You see, once bats get inside, their natural behaviors of feeding, breeding, and nesting, negatively impacts the overall value and structural integrity of a property. The longer a bat infestation goes unnoticed, the more damage they do. 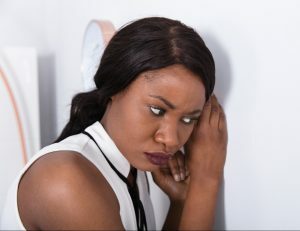 Their droppings will saturate and soil everything it comes into contact with, and even start to seep into walls and ceilings, and lead to foul, lingering odors. Sheet rock, ceilings, dry wall, insulation, roof shingles, siding, and more can also be damaged by bat infestations and nesting. Bats are nocturnal, so you will not be very successful listening for noises at night. This is when they leave their roosts and hunt for insects. Instead, do your investigating during the early morning hours when they are returning to their roosts. Listen carefully to the walls, ceilings, and attics for odd noises of activity. Bat noises generally sound like fluttering, squeaking, screeching, chattering, and shuffling. Aside from actually seeing bats, the most distinct indication of a bat infestation is finding accumulations of bat droppings, also known as guano. You may see mouse-like droppings around window sills and eaves, since bats like to perch in these areas when coming and going from their roosts. You may also find piles of guano in the attic, crawl space, or garage areas. Bat guano is similar to rodent droppings, except it is shiny and speckled from digested insect parts. When bat urine and guano accumulate in large masses within a roost, eventually the odors and liquids will seep into the living areas of the property. Walls and ceilings are common areas where droppings will stain. If you have brown or yellow shaded stains on your ceilings or walls, it is a strong indication of a bat infestation above. As mentioned, bats like to perch on window sills and eaves. And in these areas, you might find milky urine stains dripping down the windows. These stains will also be sticky and odorous, and attract other pests, like gnats and flies. Bats fur contains a natural oil that can retain dirt, and as a result, leave behind grease-like stains around their entry and exit points. If you see small gaps, openings, or holes with dirty smudges around them, it is very likely that you’ve found a bat roost. 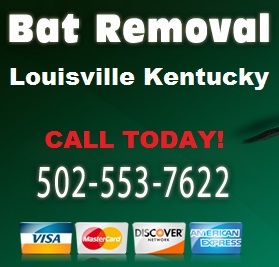 Call 553-502-7622 for prompt and professional bat removal services in Louisville, Kentucky and its surrounding areas. We are DNR licensed bat removal contractors that offer safe and non-lethal, 24 hour bat extraction and exclusion services for residential and commercial properties. We also provide bat cleanup and minor attic restorations for bat damages too. Request a free estimate, anytime. This entry was posted in Bats and tagged bats in the attic signs, Louisville bat control, Louisville Bat Removal and Control, Louisville Bat Removal company, signs bat infestation, signs bats. Bookmark the permalink. Do Bats Live Near My House? Does Your Attic Smell Like Ammonia? Do You Need Emergency Bat Removal in Jefferson County?